The Tom Collins got me. The Tom Collins is another one of the old classics that is still around today and because it has been around so long…the history has become muddled and essentially lost. Jason found the earliest recorded instance of the recipe was a version in Australia called the John Collins. 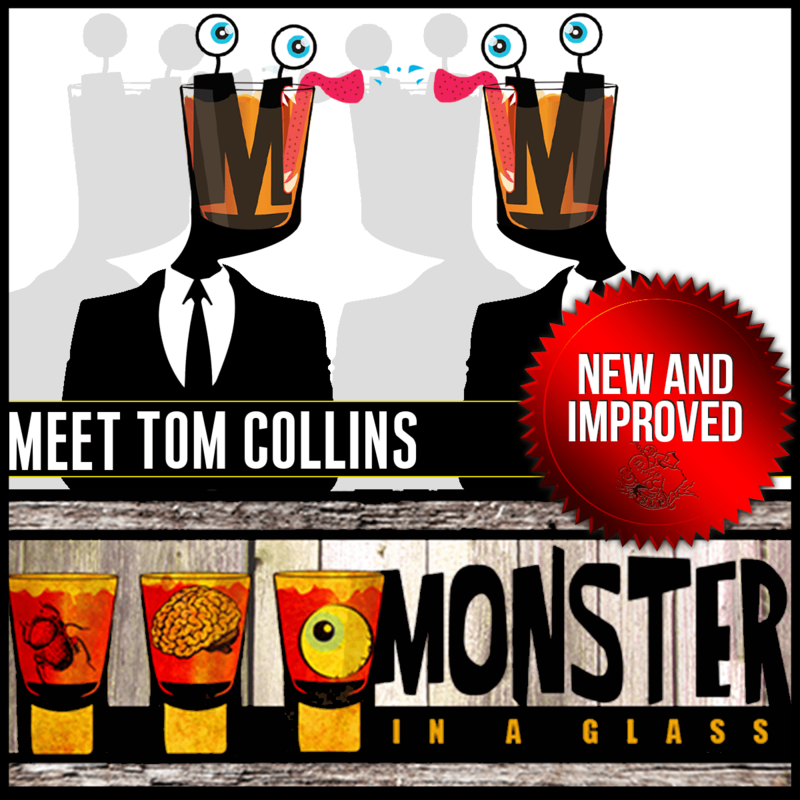 Now, traditionally there is a difference between the John Collins, made with Holland gin, and the Tom Collins, made with Old Tom gin, but that distinction gets lost over time. The combination of gin, lemon juice and sugar, though, has been around a long time and the simplicity of the drink compounds the confusion of its origin story. There is one story involving the Tom Collins hoax, an American phenomenon wherein some poor rube is sent on a wild goose chase from bar to bar looking for a fictional slanderer. This seemed to be a popular entertainment in 1874…I don’t get the appeal, but I guess you had to be there. Given the timeline, it seems that the cocktail predates the hoax, but I don’t think were ready to write that detail in ink yet. The actual Tom Collins does seem to appear via Jerry Thomas in the 1870s and it immediately takes hold, so much so that bartenders across the country riff on it by making brandy collins, whiskey collins, etc. This is where the Tom Collins got me. For the tasting I suggested we do a series of collins drinks. Michael, our bartender at the Brixton where we try the drinks, looked at me sideways, kind of rolled his eyes, and proceeded to tell me that all of the drinks I was asking for as collins drinks, were already drinks with other names. I didn’t see it coming. It makes a lot of sense; the recipe is extremely easy and had to have been a go to mixture for many bartenders back in the day. Of course, people had already mixed brandy with lemon juice, or whiskey with lemon juice…and they already had names and origin stories of their own. So…I expect we’ll be revisiting some of these with other names. These drinks were extremely simple with a lot of opportunity to have no style and be absolutely terrible. The Brixton doesn’t make anything without style and Michael doesn’t make anything terrible unless we ask him to. I think in some regards his hesitation with this episode was more or less his understanding of how uninteresting this classic is. 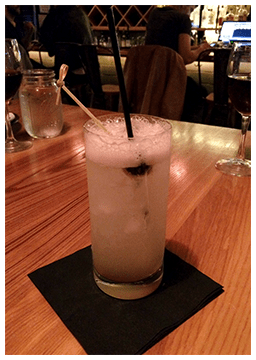 That being said…these drinks were the best of their ilk. 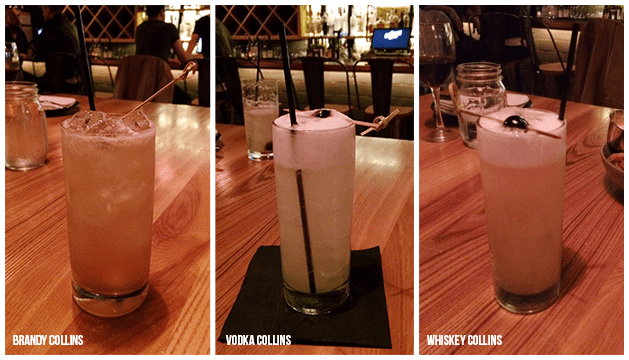 We tried four collins drinks…the standard Tom Collins, brandy collins, vodka collins, and whiskey collins. They were all well balanced and refreshing, even with the heavier brown liquors as the base, and by and large we all liked all of them. They were well made classics.